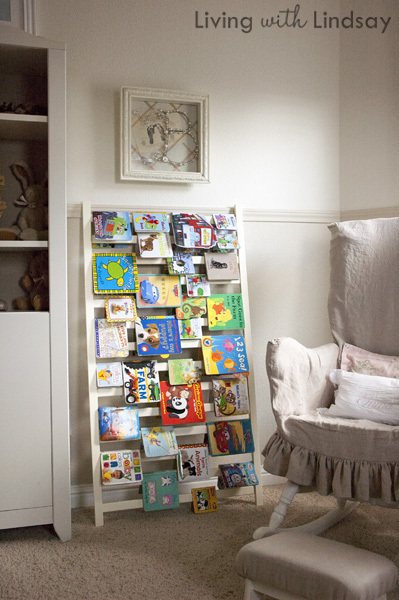 If you are always looking for more book storage and you happen to have an old crib lying around (or have seen one at a thrift store) you will want to check out Lindsays clever DIY crib rail book ladder. If you are using it for your little one, the crib probably already matches your room perfectly! You can check out this fun book storage over at Living With Lindsay. Get out! I have FOUR white crib rails sitting in storage, with nothing to do. YESSSSSS!